For a will to be valid in Arizona, the testator, or will maker, must sign the will or have another person sign it for him, in his presence and at his instruction. Two witnesses must also sign the will. A holographic, or handwritten, will is allowed as long as the testator writes the entire will and its provisions in his own handwriting and signs the will. Witnesses are not needed for a holographic will. If the testator created the will in a state other than Arizona and it complies with the laws of that state, the will is valid in Arizona. Only "interested" parties have the legal standing to challenge a will in Arizona. An heir, who is a descendant of the deceased but not named in the will, or a beneficiary, who is a party actually named in the will, are considered interested parties. An heir or beneficiary may challenge a will with a "no contest" clause because the probate code in Arizona provides that a no contest provision "is unenforceable if probable cause exists." Arizona law sets forth several grounds for a will contest. A person can contest a will if the will doesn't meet legal requirements, meaning it wasn't signed or executed according to state law. If the testator made the will under "undue influence," meaning another person pressured him when he wrote the will, the will is considered invalid. Other will contest grounds include questions about "testamentary capacity," which is the testator's ability to understand the consequences of the will, or questions about the deceased's mental capacity at the time he made the will. A will contest is filed in the Arizona probate court where the estate proceedings are taking place. The person contesting the will must file a petition and submit proof to the court. A hearing is held on the matter and the challenger must present evidence and testimony from witnesses that support the case. 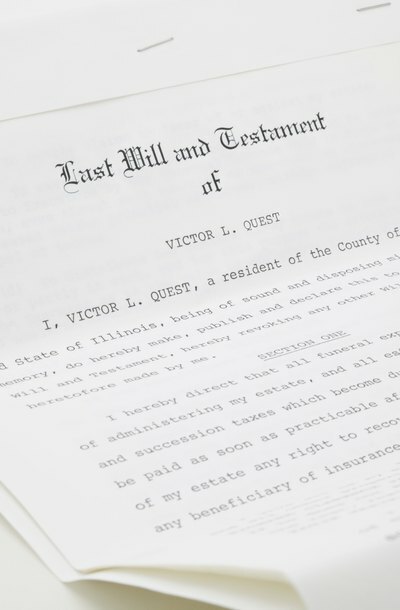 During a will contest, the burden of proof is on the person challenging the will, with the estate representative defending the will's validity. If the court finds the will is invalid, the deceased's estate is distributed in accordance with Arizona's intestate succession laws. These laws dictate who inherits and how much each heir receives, treating the will as if it never existed. If the challenger is an heir to the deceased, she may inherit under the intestate laws.